I’m not a big sports fan — probably due to the fact that I was raised by two tremendously nerdy parents. I’m typically the dog at the park who ducks if a Frisbee is thrown in her direction. St. Louis seemed to revolve around baseball and sports, which I didn’t care for. We decided to go on a long walk and see if we could get a feel for St. Louis’ culture outside of the stadium. We started with the iconic Arch. The Arch was considerably bigger and more impressive in person. It’s a big deal because it’s the tallest arch in the world, was built as a monument of western expansion, and is a symbol of St. Louis. My parents made me take a silly picture in front of it, and I was unenthused and bored. I wanted to walk and explore the city more, so we did! My mom urged us to take a picture under this dirty old bridge. She loves cave hiking, and said these were sparkly stalagmite sculptures. She can be so embarrassing at times. We found out later that Missouri is known as the cave state and has over 6,000 caves. Knowing Mom, we will definitely be back soon. Apparently, you can’t leave St. Louis without trying a slice of the gooey butter cake. Me, Mom, and Dad shared two slices outside at Park Avenue Coffee, which has 73 flavors of butter cake. I love pumpkin, so Mom let me try some of the slice with pumpkin inside. I only got a bite because Dad said sugar isn’t great for pups. I could have eaten the whole cake myself; it was delicious! After a long day of walking, I was pooped (pooped is my favorite word for being tired)! We checked into the Clayton Plaza Hotel, and I was seriously taken aback. This hotel was the fancy-schmanciest dog-friendly hotel I ever stayed at. Chandeliers and all! The front desk team welcomed me and let me put my paws up on the front desk to say hello. They said I was a big dog (rude! ), but that one time they let a Great Dane the size of a small horse stay there. We absolutely loved this hotel because it was a clean first class hotel, had amazing beds, no pet fees, and, best of all, no breed restrictions. The only tip I have for staying here is to remember to book a dog-friendly room in advance because they have certain rooms that are designated for pets. As fancy and dramatic as the arch was to observe, it is boring as hell for a pup! However, the surrounding area is nice for a long walk with your best friend. I have to admit, I’m a sucker for food so I couldn’t say no to a bite of delicious butter cake. Unfortunately, the outdoor seating area was small (roughly 2-3 tables) and there weren’t any dog-friendly items on the menu. This was by far the most hospitable and comfortable dog-friendly hotel we have ever stayed at. We will be staying here any time we head to St. Louis and will highly recommend it to all of our friends — even the ones without doggies. Stay tuned for my next blog post, where I talk about dog-friendly destinations and fun in Sioux Falls, South Dakota. 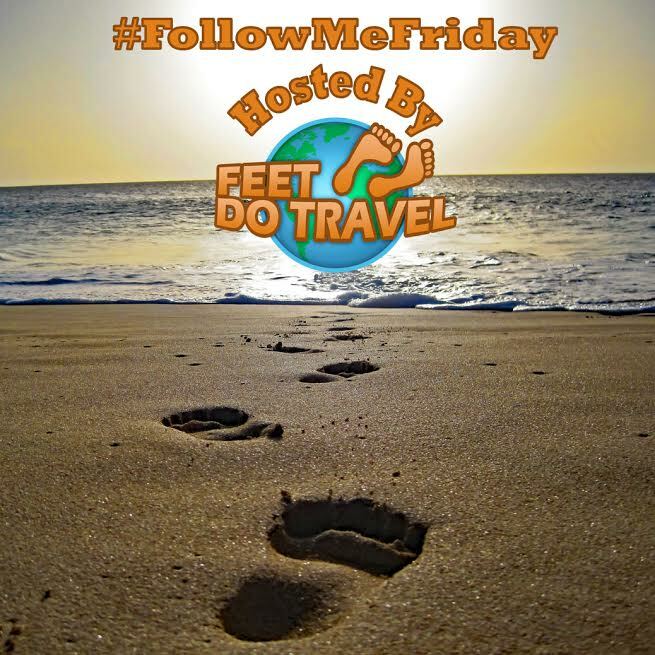 This blog is part of the #feetdotravel community on Facebook. The hotel sounded very comfortable for pooches Scarlett. I’m glad you enjoyed it! It was great, you should check it out one day! I’m so sorry you were bored at the arch! Your photos with it came out great at least! So glad the Clayton Plaza Hotel treated you well – so heartwarming! They were awesome, we highly recommend staying there if you’re ever in St. Louis. The pumpkin totally made it worthwhile! Now we want to learn to make butter cake, it’s a must try if you’re ever in St. Louis. This is so funny! The photo with the arch in the background looks great. Like a born model! The pumpking slice sounds delicious, I think I’m gonna have to cook something up today. Love the hotel too, looks very fancy indeed. Glad you had a great time! Thanks Kreete, my parents think I’m the best model in the whole world! Hope you cook up something fantastic. We have found that our favorite pup friendly chains (that don’t typically have breed restrictions or pet fee’s) are Red Roof Inn, La Quinta, and Kimpton hotels. If you head to St. Louis, I would highly recommend that hotel, it’s definitely affordable luxury. Your bed looked so comfy but the pumpkin butter cake?! Damn, my mouth is watering right now, glad you could taste some. Love reading your adventures. I went to St. Louis for a conference once in November and I was so cold I felt my ears would fall off. You should have gone up to the top of the Arch, it’s only $3. Beautiful view of the city on a clear day. I wish I knew about the butter cake when I was there! Sounds like a fun time in St. Louis! We’ve only spent an hour or so there but would love to go back to visit the Arch one day. Thanks for the recommendations; the butter cake will be a requirement for me. I love reading these so so much!! I’m sorry you didn’t enjoy the post Scarlett, because it looks very exciting for humans! I would definitely like to get my paws on some of that buttercake as well! It was delicious, I highly recommend trying it one day 🙂 Thanks for reading Sarah, you’re the bestest!